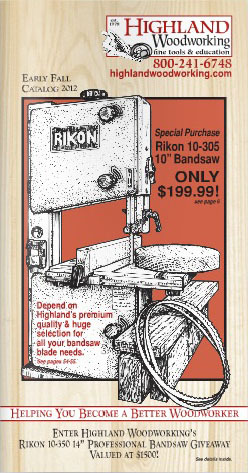 If you are dreading the end of summer, take heart in the fact that Woodworking Season has begun! The kids are back at school and you can head back to the shop. Make sure you are stocked up with all the tools and supplies you will need to get going with the Early Fall 2012 Highland Woodworking catalog, now available online. Go check it out!